Also enjoyed this! Very fresh! This is my husbands favorite candy and where we live it is VERY hard to find, regular or with sprinkles, so finding this site and being able to order it for him whenever he wants it is absolutely awesome!! The order process was very simple and the shipping was fast. 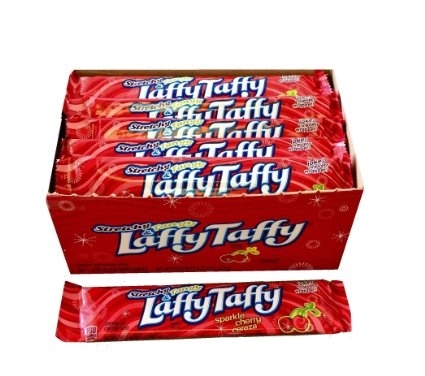 Thank you so much, now it’s my turn to get my candy, but I can’t find it on here.. (sweet tart mini chews) will definitely be ordering again very soon because he’s almost out of his taffy. Thank you so much!! Getting these, the package was well packaged. . No dents or dings :) came in a timely manner.